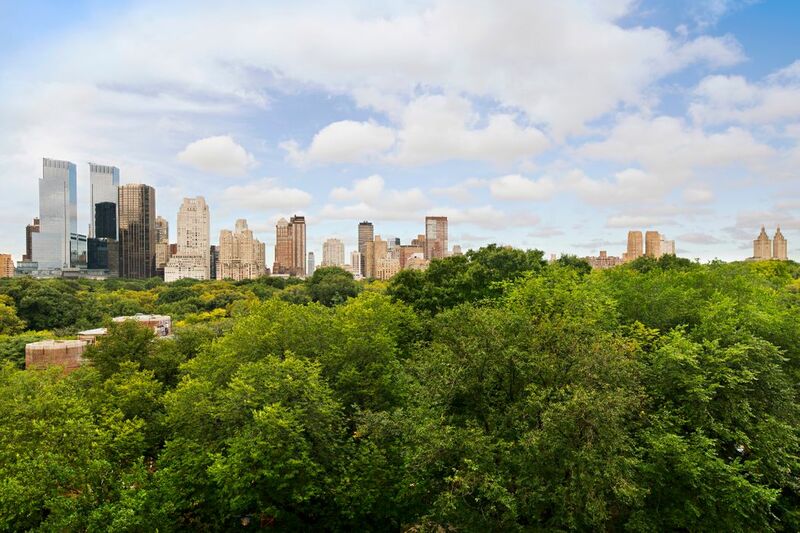 834 Fifth Avenue 7/8A, New York, NY 10065 | Sotheby's International Realty, Inc.
Perched just above the treetops, this magnificent 20-room apartment features divine views of Central Park and plenty of southern exposures. 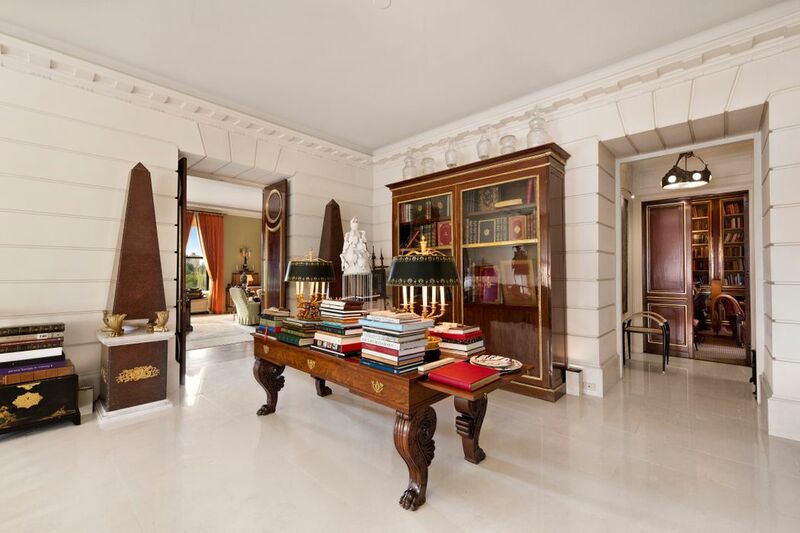 Throughout, the sun-flooded rooms are perfectly suited to major entertaining and a most gracious lifestyle. 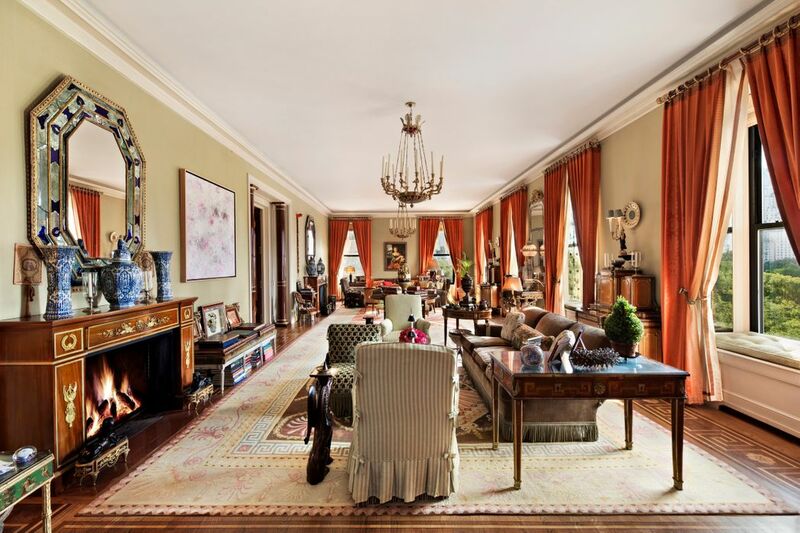 Superb original details abound, and include immaculate herringbone floors and graceful hand carved moldings. 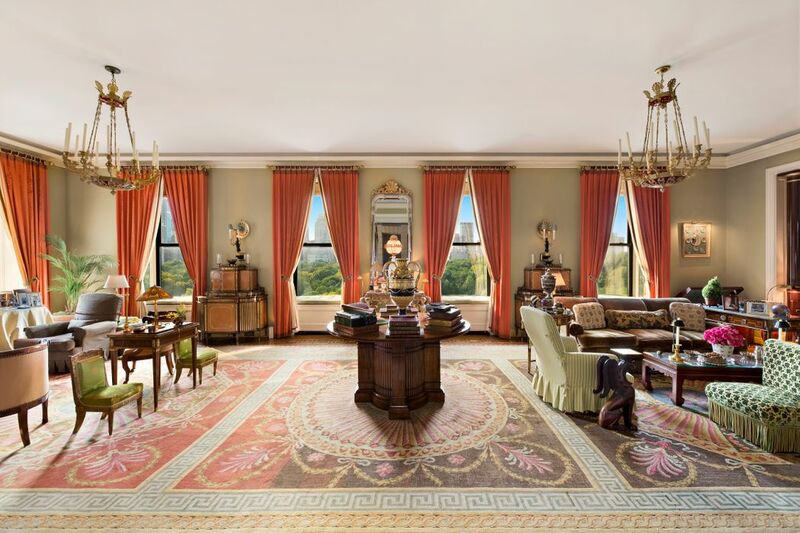 In addition there is a profusion of 18th Century elements that have been artfully incorporated as panels, parquet de Versailles flooring, marvelous fire mantles and hand painted doors with bronze cast hardware throughout this extraordinary residence. 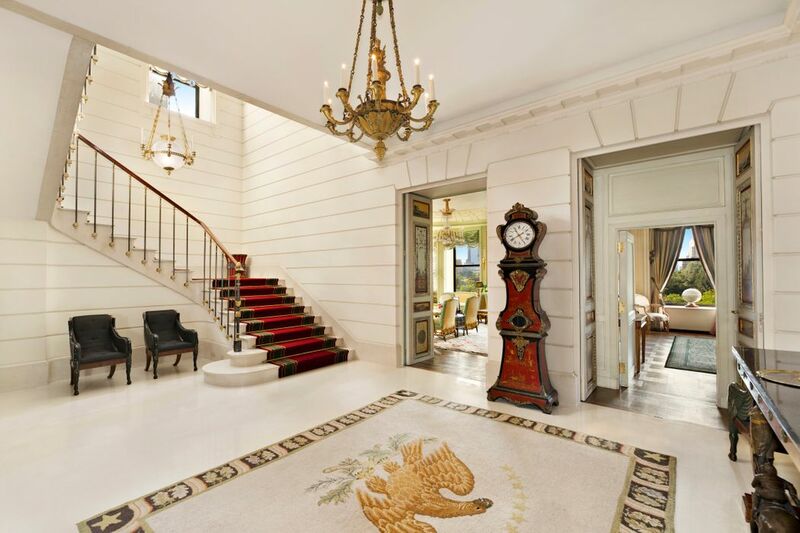 The impressive marble Entry Hall opens to a magnificent double height windowed Gallery that boasts a much celebrated sweeping staircase, that is reminiscent of those found in important hôtel particuliers in Paris. Beyond there is a light flooded corner Reception Room that is marvelously decorated and a massive Dining Room with three windows overlooking the Park. 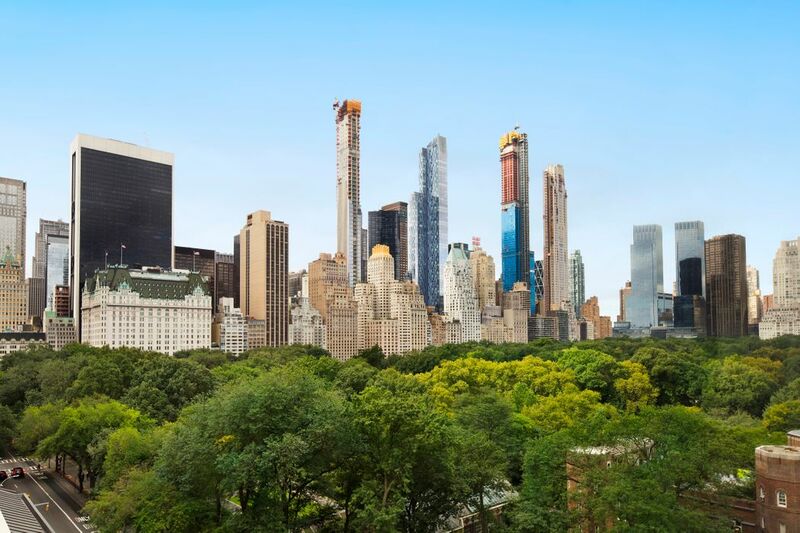 After ascending the iconic marble staircase, the Upstairs landing opens to a tremendous and fabulous Living Room with five huge window bays, and again direct views towards Central Park. 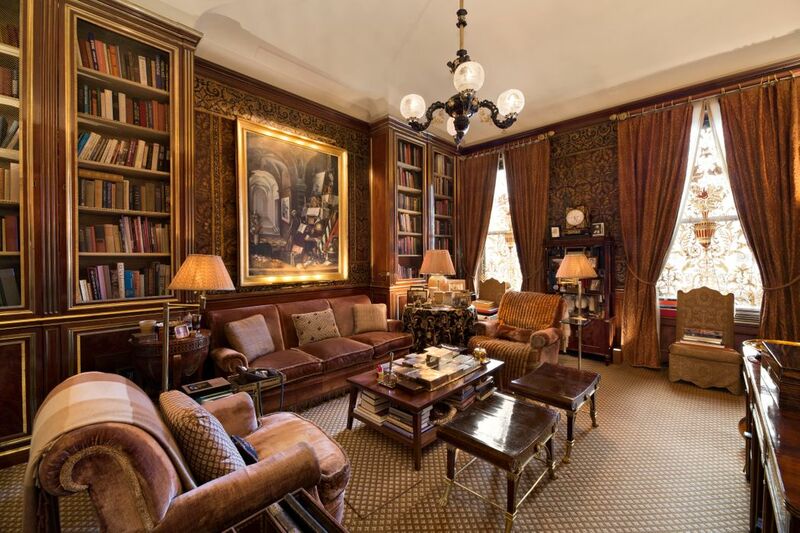 On this floor there is also a handsome Baroque-style leather paneled Library. A Powder Room is conveniently accessible to guests on both levels. 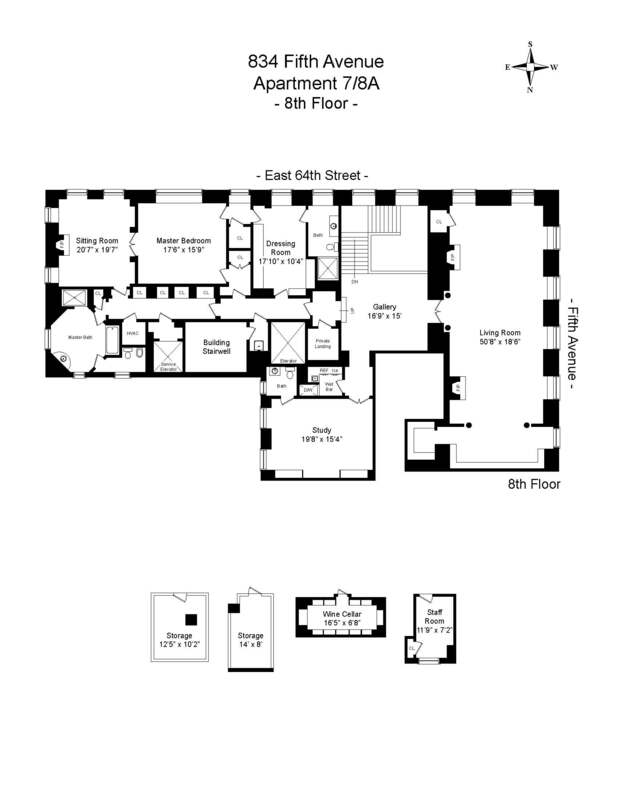 The upstairs private quarters boasts a superb three room Master Suite with largely southern outlooks. 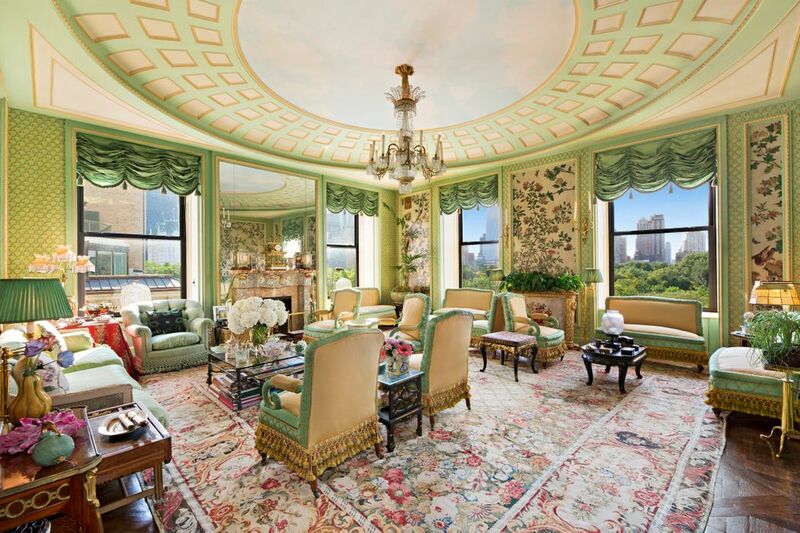 The suite includes a Dressing Room, a Sitting Room with fireplace, and a lovely Bedroom. 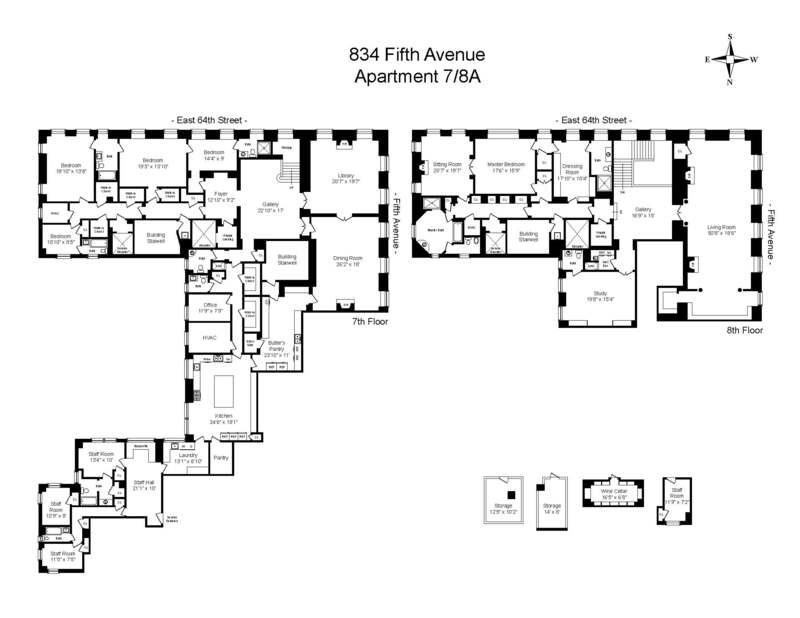 There are also two bathrooms, one with corner exposures and of significant size. 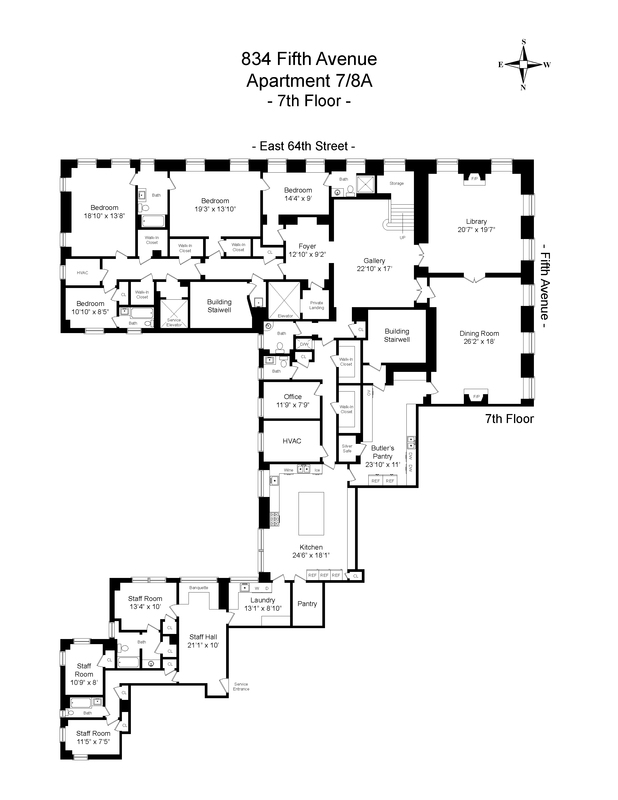 Then downstairs the private wing includes four more bedrooms. The vast back of house within the apartment includes a truly massive sun-filled Kitchen. 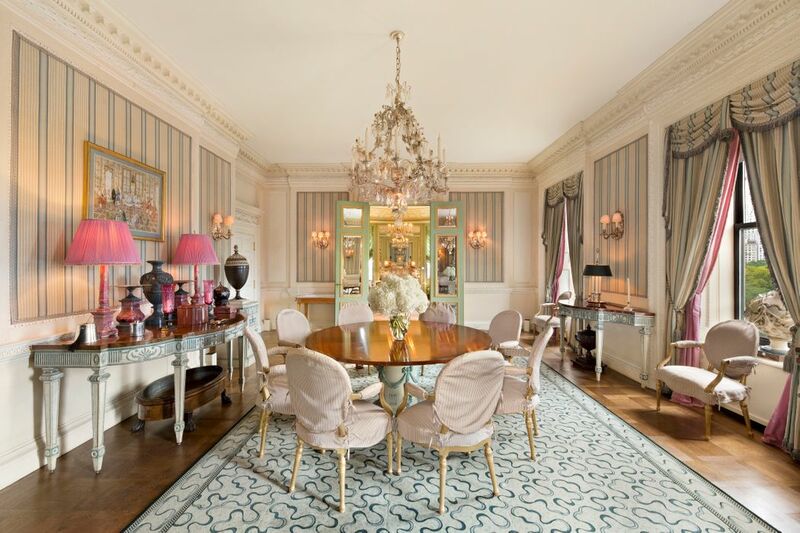 This marvelous duplex at 834 Fifth Ave is literally a mansion within the environs of a full service white glove building, and its scale and facilities allow for a life style that distinguishes the apartment even amongst the best and grandest residences within NYC.